Fried My Little Brain finds out . . . what inspires Bulgarian producer L 33? L 33 speaks with Fried My Little Brain about his inspirations and about his latest relase with us – Bring Down. Read on to find out what motivates the Bulgarian producer. 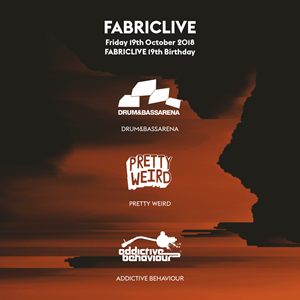 Drum & Bass Arena caught up with Detail about his second release on Addictive Behaviour. Godzilla is out now, along with Bring It Down by L 33. Check it out here along with Detail’s tasty lil’ guest mix. Chart topping EastColors hits it off again with Electronica, an industrial floor-filler, with cinematic, sci-fi touches and a bounding, insistent rhythm. Then teaming up with the talented Noel for the groundbreaking Mudguard. A heavyweight collaboration with an unforgiving bassline! High Rollers T-Shirts NOW AVAILABLE!